Quickly gaining both notoriety and acclaim, QIVIUT & CO is responsible for introducing fibre from the Arctic Musk Ox in to the luxury fashion arena. Why is engagement so important for a luxury start-up? What are the engagement tactics that a start-up can employ? What does it take to provide those tactics? What is the pay off of engagement for a start-up? Where does engagement fit in the overall marketing plan of a luxury start-up? 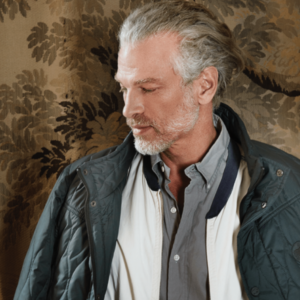 ROBERT GOULD is the London-based American Founder of QIVIUT & CO: the brand responsible for setting a new standard in luxury outerwear and bringing “QIVIUT” to the attention of the world. Born in the US, GOULD studied for a BA at HARVARD COLLEGE before graduating from COLUMBIA UNIVERSITY LAW SCHOOL with a Juris Doctor Degree. After serving as a military judge in the US NAVY, Gould entered the world of corporate law. First as an associate for Guggenheimer & Untermeyer in New York City, before becoming Vice-President and General Counsel of the closely held family business: GOULD PAPER CORPORATION. In 1976, ROBERT GOULD moved to ALASKA for his first start up adventure. Many successful businesses followed and it was in those 38 years of living in the US state that his passion for QIVIUT ignited. GOULD made London his permanent home in 1994, however it wasn’t until 2014 that he decided to bring the ultra-soft fibre into the broader global fashion industry. Spotting a niche for something ‘new, unique and exclusive in the natural fibre category’, GOULD set out on a journey. QIVIUT & CO was established not only to create a new standard in outerwear, but also to bring both the outer and under hair of the musk ox, known as “QIVIUT” (KIV-ee-uht) to the attention of both the fashion industry and consumers alike. ROBERT GOULD works full time in London as the Founder of QIVIUT & CO, with the brand having officially launched in early 2016.